Duisburg: Autonomous inland waterway vessels? Is it a contribution to solving transport and environmental problems? Autonomous inland waterway vessels are expected to be available in 15 years – this was the result of a feasibility study conducted by the Duisburg Development Center for Ship Technology and Transport Systems on October 31, 2018. The study was carried out for the Chambers of Industry and Commerce in the Ruhr area. With its canals and ports, the Ruhr area would be an ideal test area for self-propelled ships. By transferring the goods of large Rhine freighters to smaller, self-propelled ships instead of trucks, the chances of smaller freighters becoming competitive would be increased, the development center emphasizes. But it should not be forgotten that the automotive industry is also working at full speed on autonomous technology. And in contrast to inland navigation, the automotive industry is supported by companies worth billions. A comparison over the years also speaks against inland waterway transport: last year, 222 million tons were transported via rivers, ten years ago it was almost 250 million tons. In 2010, inland waterway transport accounted for about 6% of commercial freight transport, 9% by rail and 76% by road. As far as rail freight transport is concerned, it can be said that, despite annual growth in volume, it has not really got off the ground since the financial crisis of 2008. For Thomas Schlipköther, the Duisburg Port’s Chief Technology and Operations Officer, there are more pressing problems at the moment anyway. These include the extremely low water levels to which one has to adapt. 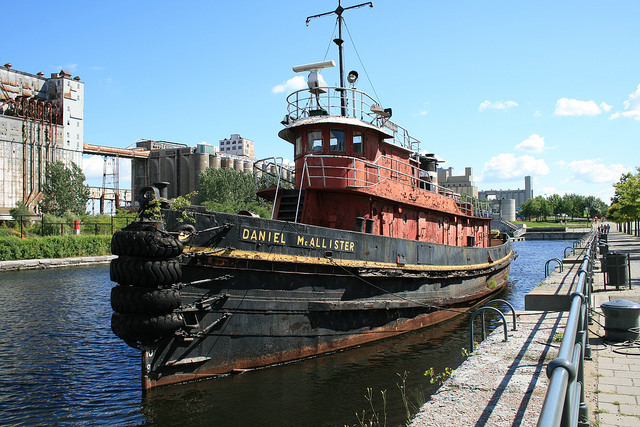 Furthermore, the fact that many inland waterway vessels still chug through the rivers with old diesel engines. In this context, Ursula Heinen-Esser (CDU) demanded conversion premiums for inland waterway vessels in the “Rheinische Post” (1. 11. 2018). In comparison to inland navigation, sea shipping is far more harmful in terms of pollutant emissions, as heavy fuel oil is burned (inland navigation vessels are usually ship diesel engines). Nevertheless, inland navigation has been lagging behind for years in terms of air pollutants emitted.